DC Power Products Winnipeg | Westrock Battery Ltd.
WESTROCK BATTERY LIMITED (WRB) is a leading Canadian supplier of Automotive, Consumer and Industrial Batteries, related DC Power Products including Chargers, Starters, and Alternators, Solar Energy Systems, Power Inverters, Charge Controllers, and Wireless Phones, Repair Parts and Accessories. Westrock Manufactures Custom Battery And Solar Cables, Solar Powered Lighting Systems For Billboard Signs, Boosting Systems For The Towing Industry And Portable Power Units For All Sorts Of Specialty Applications. WRB’s mission is to help our clients find DC Power and wireless products they need to live life bigger, better, and brighter. WRB Provides our Business And Institutional Clients a Local Canadian solution to Decrease Costs and Increase Customer Satisfaction, We have done this by supplying a innovative product line-up at competitive prices. 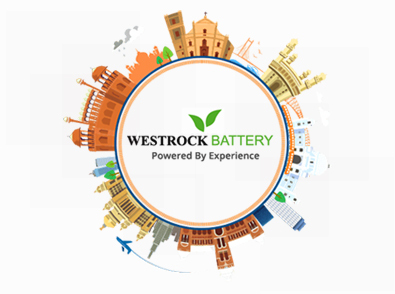 WRB has become a leader in distribution of all types of batteries, solar energy products, and cellular phones and related accessories and will continue it’s success into the future.